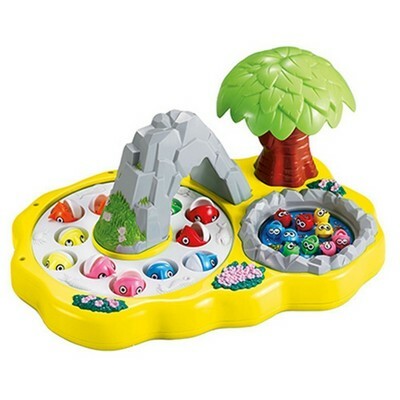 - A rotating fishing pool with music. - Total 22 fishes to be caught from 2 fish ponds. - Beautiful music effect to entertain kids even further.